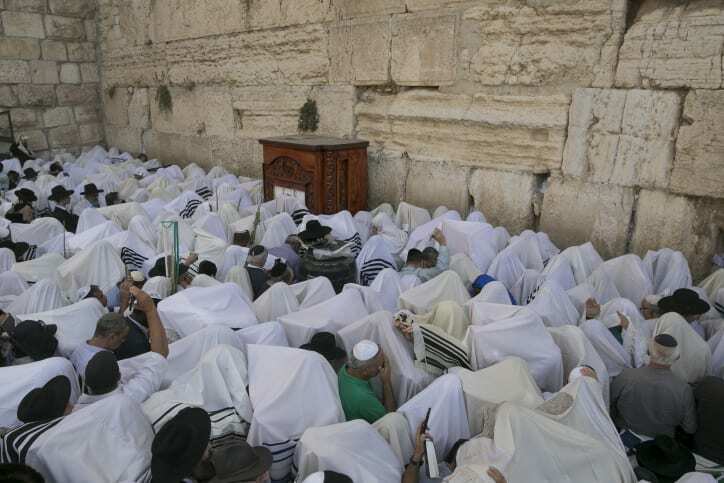 In a powerful display of the glory that once was the Jewish Temple, tens of thousands of Jews gathered at the Western Wall, also known as the Kotel, in Jerusalem on Wednesday to be blessed by hundreds of Kohanim (Jewish men from the priestly caste). This biannual event recreates a mitzvah (Torah commandment) as it was once performed in the Temple. This year, the event took on special significance as it graphically reaffirmed the unbreakable bond between the Jews and the Temple Mount, a connection last week’s UNESCO vote sought to erase. 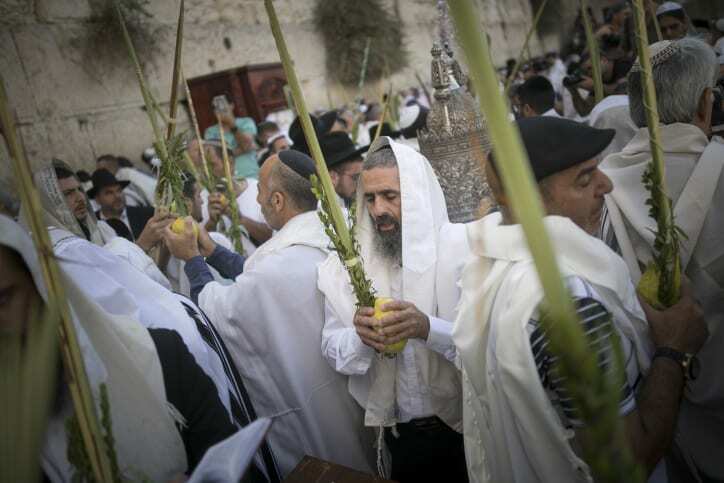 Jews took the traditional four species – lulav, or palm frond; hadas, or myrtle; aravah, or willow; and the etrog, a citron – and performed the ritual shaking in six directions. The blessing of Israel, once an integral part of the Temple Service, is now performed on a regular basis in synagogues around the world. 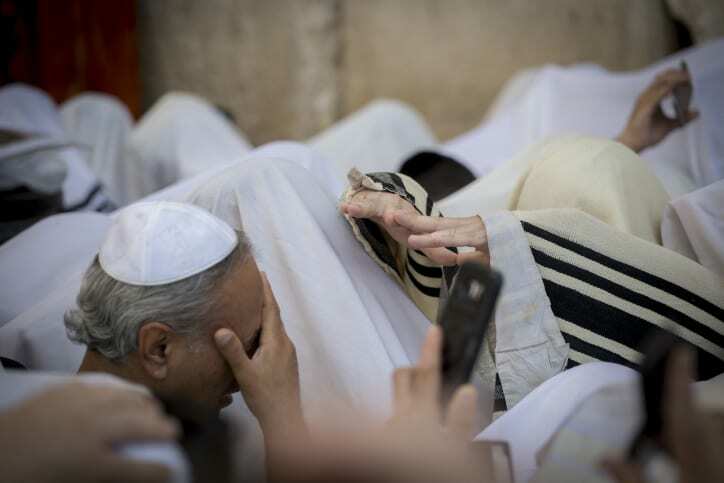 The Kohanim, Jews who have a family tradition of patrilineal descent from Aaron, the first High Priest, remove their shoes, have their hands washed by men who have a family tradition of being from the tribe of Levi, and stand in front of the congregation, completely covered in their prayer shawls. The words of blessing are recited with hands outstretched in a particular manner, with the first and second fingers joned, and the third and fourth fingers joined, while they recite the blessing. 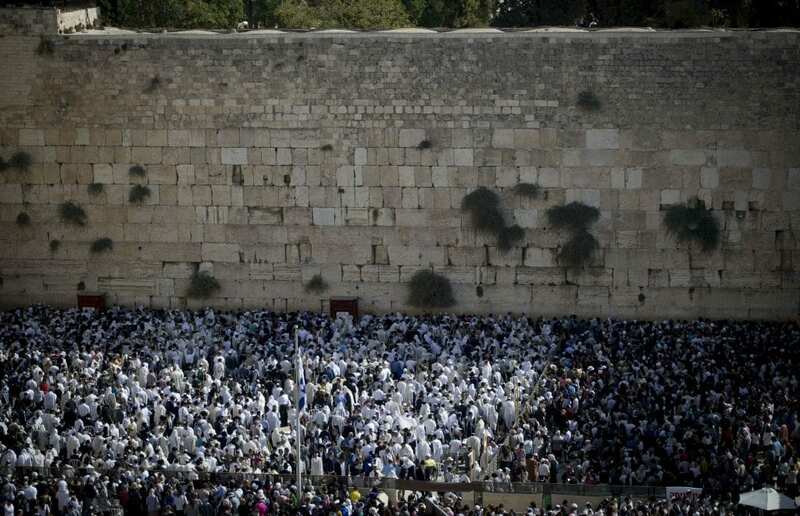 This event comes less than one week after a UNESCO resolution passed which denied any religious or historical connection between Judaism and Jerusalem, renaming the Kotel as Al Buraq Plaza. Israel’s Minister of the Interior, Aryeh Deri (Shas), called for Israelis to protest this resolution by worshiping en masse at the site. “This year, we’ll come, in our masses, to Jerusalem, to the Western Wall, to the Priestly Blessing. This Wednesday… we’ll all be there. 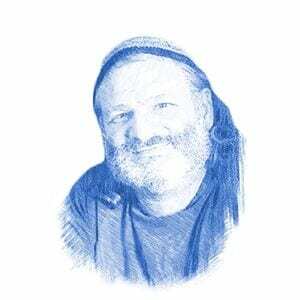 We’ll send a clear message — nobody will separate us from our holy places,” wrote Deri in a Facebook post. 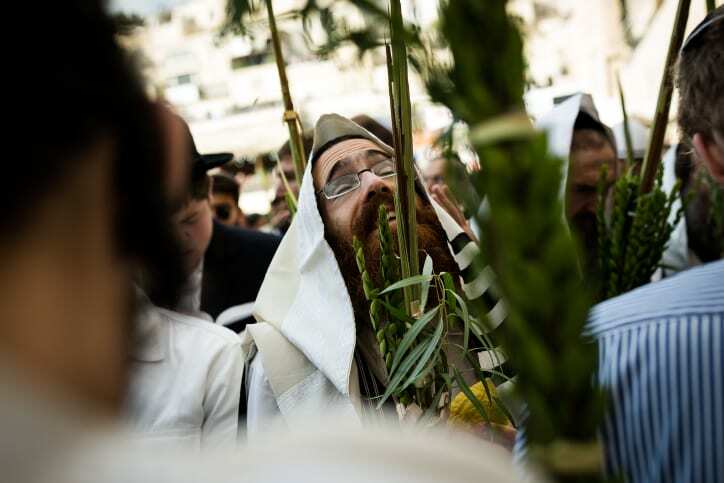 It was estimated that more than 50,000 were in attendance, and millions more viewed the event live via kotel cams.